Welcome back to D.C. as told through one News & Media student’s experience. Before this week began, our TA Alicia told us that class days would be “crazy (and sweaty) but worth it.” She couldn’t have said it better. Over the course of five days, we visited nine different sites and saw six guest speakers. Though it poured rain the entire time, all the soaked jackets and early mornings were worth it for the experiences I’ve had so far. The week began with DCSI kick-off, where all the institutes mixed and mingled over lunch and coffee. Monday evening, the institutes went together to the Capitol Building for a tour with former Representative Chet Edwards (D-TX). Favorite story from Chet Edwards? Definitely the time his son repeatedly pressed the “yes” and “no” voting buttons on the House floor during an important vote when his dad wasn’t paying attention. It was a unique experience to hear about working on Capitol Hill from a representative’s perspective, and Rep. Edwards did an excellent job mixing facts with fun anecdotes from his time in office. Afterwards, we had lunch with alum Sara Taylor ’96, the Bangladesh representative of the Asia Foundation. Later, we attended a livestream with marine biologist Dr. Barbara Block at the National Museum of Natural History. It was an interesting day, beginning with #MeToo and ending with a Skype conference call from the middle of the Pacific Ocean. 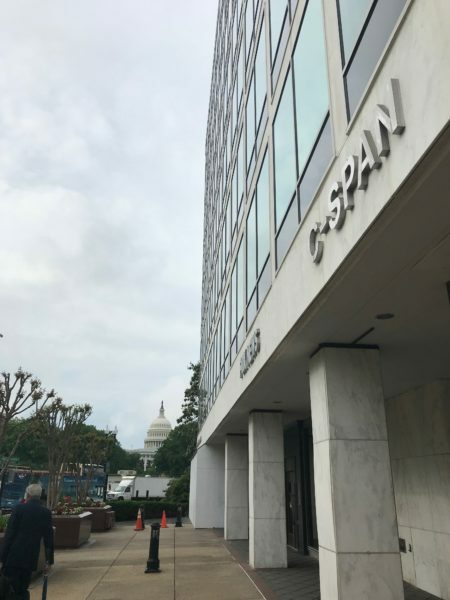 On Wednesday, we toured the C-SPAN offices with alum Mark Farkas. In the afternoon, we visited a DCNMSI alum at his workplace — the American Film Institute (AFI) arthouse theatre in Silver Spring. We watched a screening of the French 1959 film noir Two Men in Manhattan and ate enough popcorn to power us for the rest of the week. 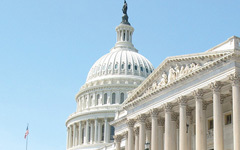 We returned to Capitol Hill on Thursday morning with the other institutes, where we met with Senator Tim Kaine. Later, the News & Media institute split off and went to the Newseum. There, we took a class on media ethics that left the class divided and my classmate Brooke declaring, “That’s it! I’m never going to be a journalist!” The media ethics debate proved useful the next day, when we had the opportunity to ask questions of alum and former FBI Director James Comey ’82. His discussion of personal integrity and loyalty to the American people echoed the discussion we had the day before at the Newseum. Friday also included visits to WAMU, Washington’s NPR member station, and GoodFight Media, an independent documentary production studio. 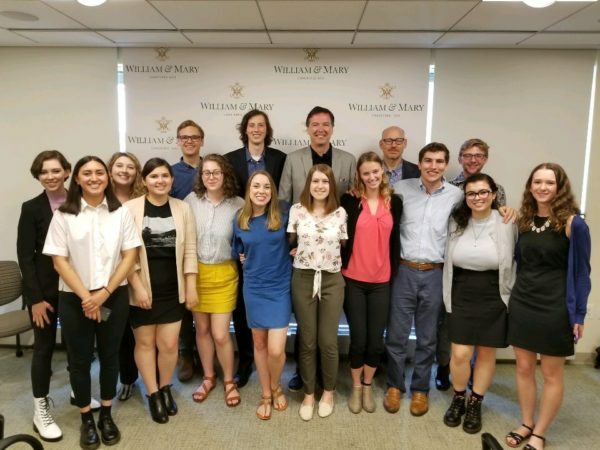 Throughout the week, the common theme was ethics and integrity: from Tarana Burke’s activism to C-SPAN’s rigorous policy of objectivity, we saw examples of media figures who are loyal to their codes of conduct. It’s now Sunday evening, and I’m sitting on the balcony watching the sun set over the D.C. skyline. My day included a trip to the National Portrait Gallery and a foray into cooking for dinner this week, both of which went relatively well. I’m looking forward to the upcoming week of class, though I’ll be sure to get a full 8 hours of sleep tonight to prepare myself for the madness. 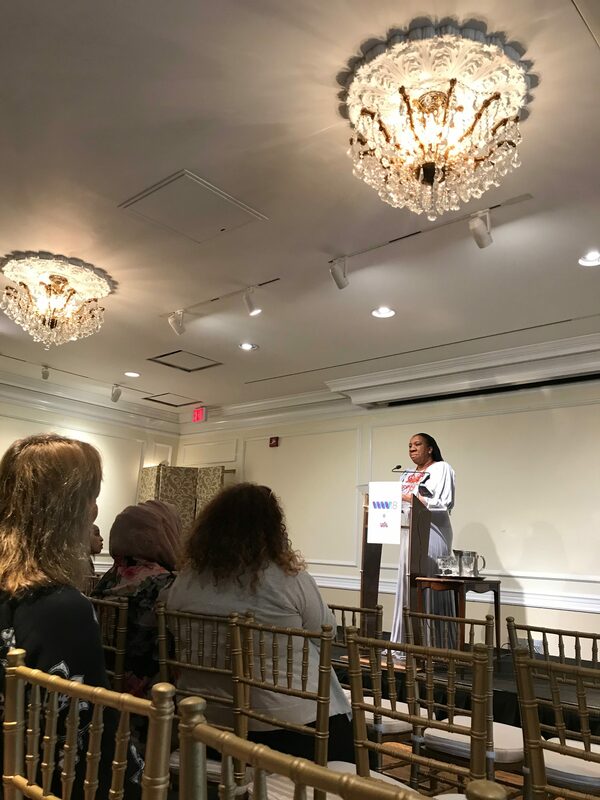 Tarana Burke, founder of the Me Too Movement, speaks at the Win With Women 2018 Conference. Visual irony: Fox News and C-SPAN’s offices with the Capitol looming in the background.